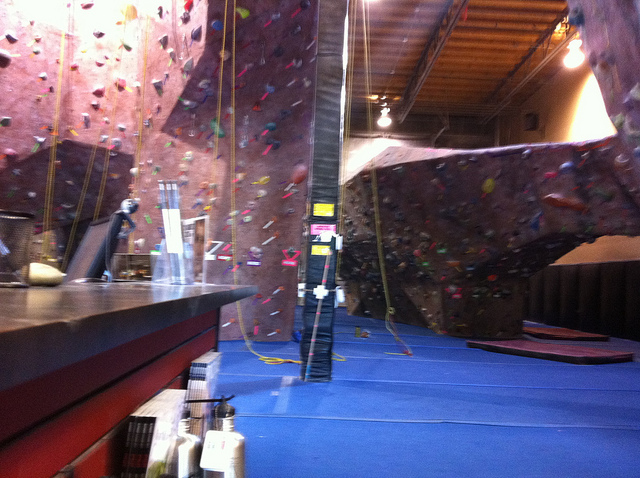 Edgeworks Climbing looks like fun! 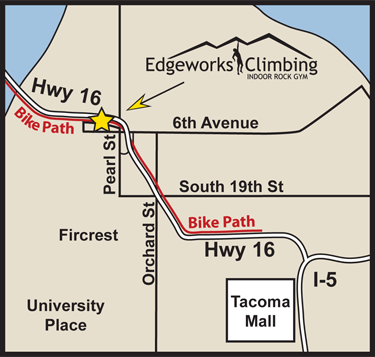 Edgework Climbing is tucked away in an unusual place at 6102 North 9th Street, Suite 200, Tacoma, WA 98406. It is in an newer industrial building, behind the Safeway on Sixth Avenue. I stopped in to pick up some information and was impressed with the knowledge and enthusiasm of the woman behind the counter. She allowed me to walk around the cliffs and I loved that the floor was so bouncy! I could just envision myself climbing up those walls! If you know what you’re doing and have a certificate to prove it, the cost is $15 per day. This entry was posted in Sports, Tacoma, WA State - Pierce County and tagged Edgeworks Climbing, fun, Tacoma on August 29, 2011 by admin.